Just before Christmas, Brennen had the wonderful experience of getting his first (ever!) haircut in an actual salon! 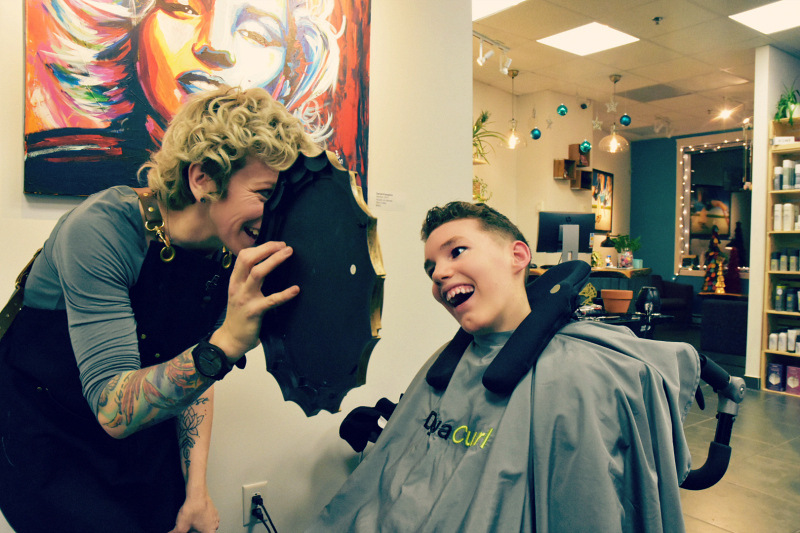 We have always had a friend of ours come to the house to cut Brennen's hair (Thank you, Janet!) It started when he was just a baby, with his very first haircut, and she has continued to come to our home each time Brennen needs a mop chop. We are fortunate to have her, and it certainly has been the most convenient option for our family, but the reality was that we didn't actually have many options, until recently. 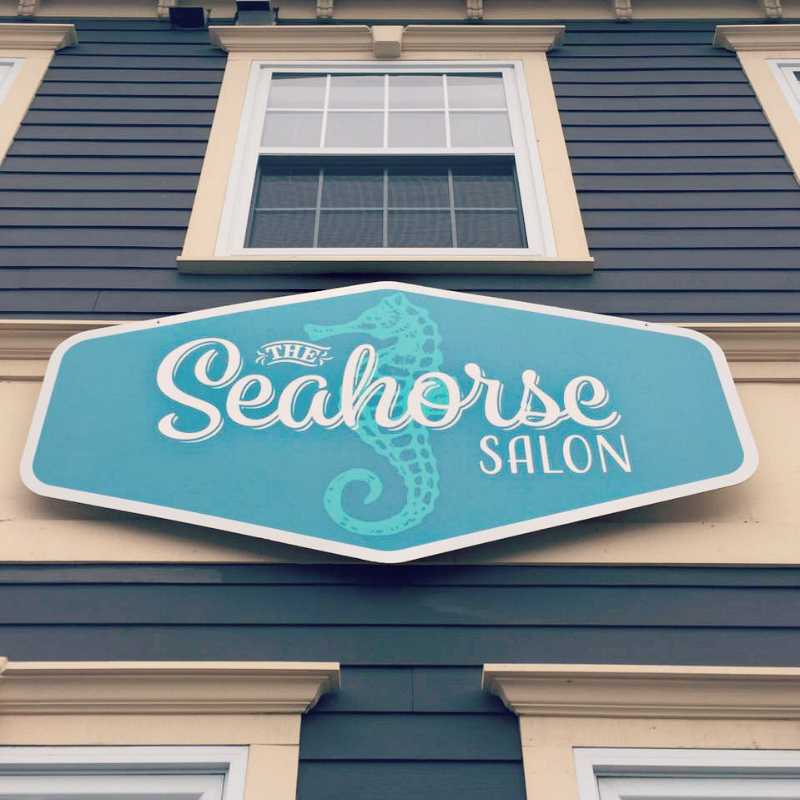 The Seahorse Salon opened a few months ago on Harvey Road, and we were thrilled to learn that they offer a wheelchair accessible space! We wheeled up the ramp to the front door, and once inside the salon, wheeled right into place in front of a full-length mirror. Easy! Brennen was so excited, and everyone was super accommodating and legitimately happy to see that he was having such a great time. Brennen is almost a teenager (I know! Ouch!) and so it was time for him to have a funky haircut. His hair is super thick and curly, and it is just the best. 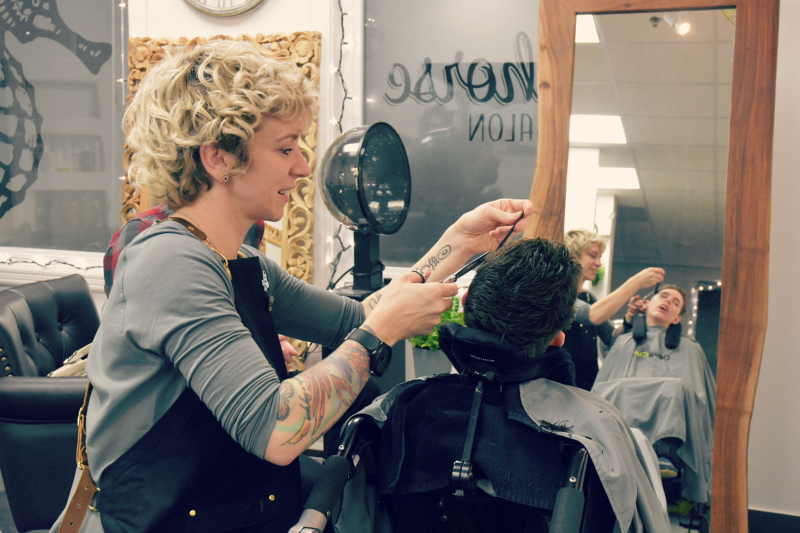 Salon owner and stylist, Jenn Ghaney is an expert on curly hair. She gave Brennen a super cool fade, leaving the front longer so that his curls can do their thing. I died. Brennen was very happy with his haircut, and was quite pleased with his reflection in the mirror! 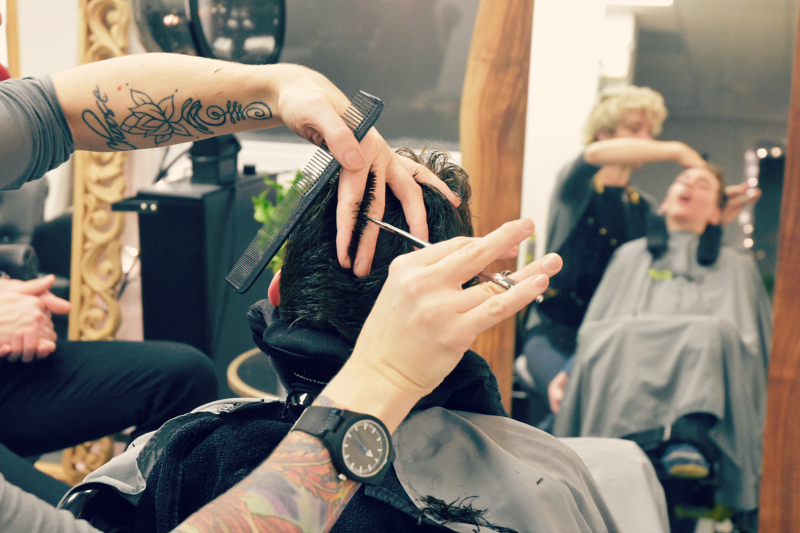 Everyone has the right to access services in their community, and while it might not seem like a big deal to some, the ability to roll into a salon for a haircut or to engage in other self-care activities is meaningful to a lot of people. We had such a great experience. Jenn was amazing with Brennen! She carried on with him, joked with him, and made him feel (and look) like a million bucks! I couldn't have asked for anything more. 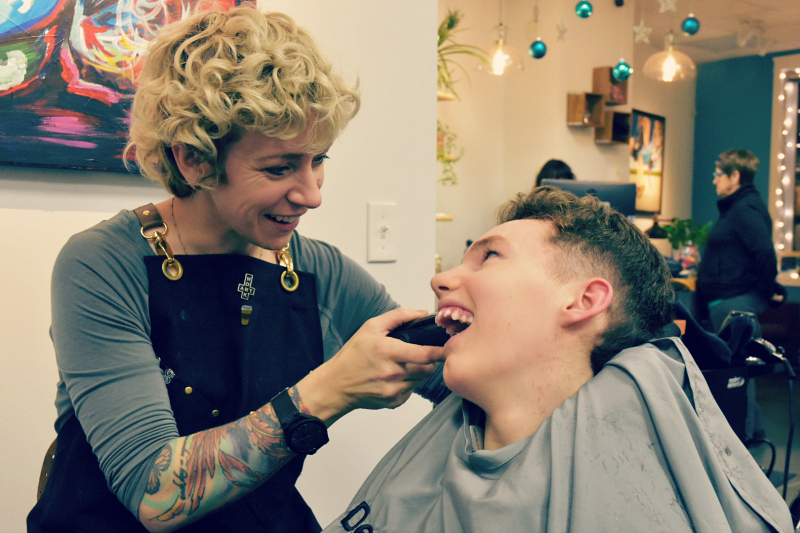 Brennen's disability presents challenges that we are continually finding ways to support and overcome, but it does not limit him from leading a full and happy life. Everything I want for my child is rooted in the belief that every life holds value, and in that way, Brennen is just like any other kid. He thrives on new experiences, making memories, going on adventures, building friendships, and having fun. 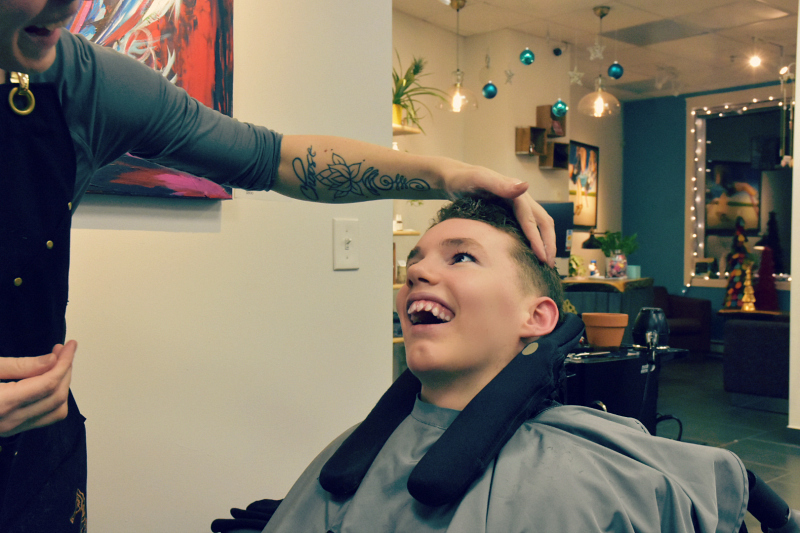 We are so thankful to local businesses, like The Seahorse Salon, who are open and accepting, and who make strides to create a more accessible and inclusive community. The Seahorse Salon is waiting for you! 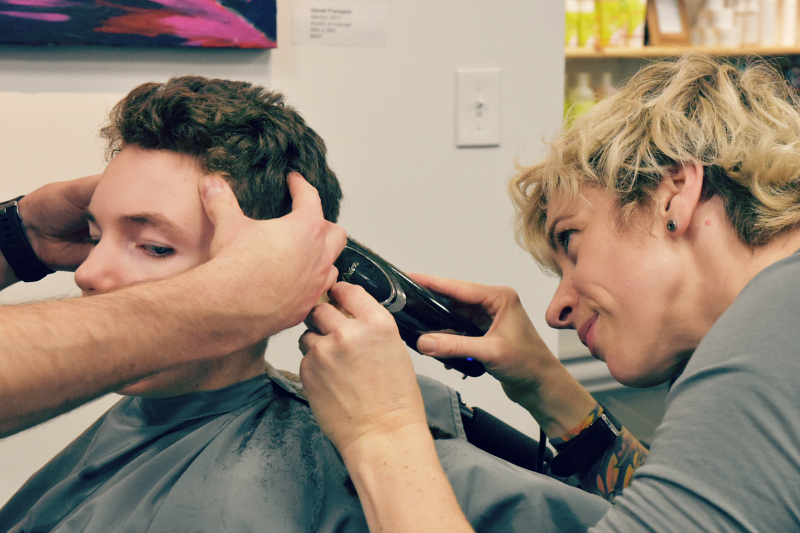 Find their hours of operation here, or email info@seahorsesalon.ca to make an appointment.